There sure is a lot of hype around the Amazon Echo, but what would you say if I told you that you already have the features that Echo offers in your existing Android smartphone? It’s called Google Now. We’ve covered using Google Now for things like searching the web 6 Google Now Features That Will Change How You Search 6 Google Now Features That Will Change How You Search You may already be using Google Now on your Android device, but are you getting all that you can out of it? Knowing about these small features can make a big difference. Read More and driving while using your phone hands-free Do Everything in the Car Hands Free With Google Now Do Everything in the Car Hands Free With Google Now You don't have to text and drive. In fact, you can do a lot with only your voice while driving -- even more than texting! 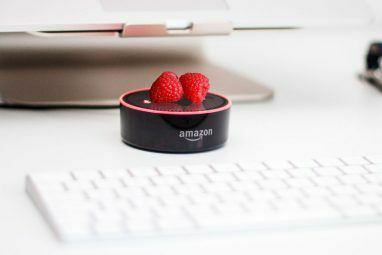 Read More , but Google Now can also serve as voice control for your smart home gadgets, posting to your favorite social media accounts, and even tracking your health. If you own an Android phone, don’t blow your hard-earned money on an Amazon Echo! Follow the tips in this article to use your voice controlled smartphone to automate everything in your life that’s important to you. No, there isn’t a Google Now command to directly control your Nest learning thermostat 13 Things You Didn't Know You Could Do With a Nest Thermostat 13 Things You Didn't Know You Could Do With a Nest Thermostat You may be surprised just how many little tricks you can accomplish with your new Nest thermostat! Read More , but there are a couple of ways you can make that integration happen without much work. If you’ve never used IFTTT before, make sure to check out our IFTTT guide The Ultimate IFTTT Guide: Use the Web's Most Powerful Tool Like a Pro The Ultimate IFTTT Guide: Use the Web's Most Powerful Tool Like a Pro If This Then That, also known as IFTTT is a free web-based service to get your apps and devices working together. Not sure how to build your applet? Follow along with this guide. Read More and set up your account. Next, create a new recipe and select Gmail as a trigger. Choose New email in inbox from search, and type “subject:nest” in the Search for field. Create the trigger, and next choose the Nest channel as the action. Select the Nest device you want to control, set the BodyPlain ingredient so that it uses the body of the email as the temperature setting. What this IFTTT recipe does is watches your email account for any incoming emails with the subject “Nest”, and sets the temperature of your Nest to whatever number is in the body of the email. So how does this work with Google Now and your phone? Well, now all you have to do is say “Send email to Ryan, subject Nest, Message 70“. Instantly, Google Now will send the email, the email will trigger IFTTT and your Nest will be set to 70 degrees. Done. Now that you know the trick to transforming Google Now into your own voice controller for everything, there are a few things you may want to do before you start going crazy setting up your integrations. The last thing you want are a bunch of random emails arriving in your regular email account, so you may want to consider setting up a special email account just for your Google Now voice triggers and set it up to work with your IFTTT account. For every on/off configuration, like Philips Hue lights Light Your Home the Smart Way With Philips Hue Light Your Home the Smart Way With Philips Hue If you can afford the initial expenditure, you won't find a better-supported and more user-friendly smart lighting system on the market. Read More , you only have to worry about the subject line. Try something like “kitchen lights on” or “kitchen lights off”, and then configure those integrations (see below). For devices you need to adjust to a setting, use the body of the email to do it, like with the Nest example above. When you set up this “voice control” email in IFTTT, consider giving it a name that makes sense for you. Hey, if you really want to make people laugh, name it “Alexa”. To avoid any copyright infringement, I’ll go with “Johnny” for my own personal voice controlled assistant. No matter what online To-Do app you use, the odds are pretty good that you can post to it via IFTTT. ToDoist Automate Your Life and Job With Todoist and IFTTT Automate Your Life and Job With Todoist and IFTTT Play creatively with ToDoist's notification features, and IFTTT's ability to accomplish really cool automations with them. We show you how combining the two powers your productivity. Read More , Toodledo, and Kyber are all available in IFTTT, and using the same Google Now approach above you can use voice control to add reminders. Create a Gmail trigger using New email in inbox from search and set the Search for field to “to do”. The message of your email becomes the task that you add to your to-do app. The cool thing with ToDoist is if you include wording like “next tuesday at 4pm” or “every 3rd wednesday of the month”, ToDoist is smart enough to schedule that task exactly the way you want it to. The ability to do this with your voice, without touching your phone or your computer, is a very cool feeling. The goal here is to simply tell your phone what your new weight is, and have your Fitbit log it Kickstart Your Summer Fitness & Weight Loss With FitBit Kickstart Your Summer Fitness & Weight Loss With FitBit With summer approaching, many of us are starting to think a little more seriously about our weight. In particular, it's that time of year when people worry about how they'll look in those summer outfits.... Read More . With IFTTT, this is really simple. Create a Gmail trigger using New email in inbox from search and set the Search for field to “fitbit”. Next, choose the Log your weight action in the Fitbit channel. Fill in the Weight field with the body ingredient of the email. Now, all you have to do is use your new Fitbit voice command to send in your weight using your Android phone, and you’re done. You don’t need to find a computer or log into your Fitbit app with your phone. Just say it, and you’ve logged your weight. Sure, with Amazon Echo you can use voice commands to post to Facebook and Twitter, but so what? You can do the same thing with Google Now! As you can see, the subject of this command tells “Johnny” that you want to post to Facebook, and the body of the email contains the post. Here’s how that looks in the IFTTT Facebook Create a status message action. This tells “Johnny” that you want to post to Twitter, and the body of the email contains the Tweet. Here’s how that looks in the IFTTT Twitter Post a Tweet action. Hey, why stop at Facebook and Twitter? Why not post to Slack Get More out of Slack With These 7 Tips Get More out of Slack With These 7 Tips With a clever user interface, Slack makes a potentially complex workflow simple and intuitive. It has redefined communication. Make better use of Slack with these tips. Read More while you’re on the run by using your voice? I’ll tell you what, you can’t issue Amazon Echo social post commands while you’re running or driving around outside of your home, but you can do it with Google Now – both inside and outside your home. This tells “Johnny” that you want to post to Slack, and the body of the email contains the post. Here’s how that looks in the IFTTT Slack Post to Channel action. Notice that you need to define a single channel where your voice-controlled Slack posts will go. All you have to do is browse through the IFTTT channels to see how many cool things you’ll be able to control with your voice using this new approach. If you have Smartthings products 3 Ways to Protect Your Family and Home With SmartThings Presence 3 Ways to Protect Your Family and Home With SmartThings Presence Want to use tech to keep your nearest and dearest safe? Check out what a SmartThings Presence can do to keep a watchful eye over your home. 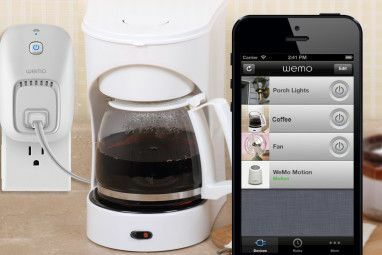 Read More , Wink gadgets, WeMo devices 3 Ways The Belkin WeMo Can "Smarten" Your Regular Household Lamps 3 Ways The Belkin WeMo Can "Smarten" Your Regular Household Lamps We took the time to look at the possibilities for turning your regular household lamps into smart lamps. Read More or any other smart gear integrated throughout your home, you can activate or deactivate them using your voice with Google Now and IFTTT. 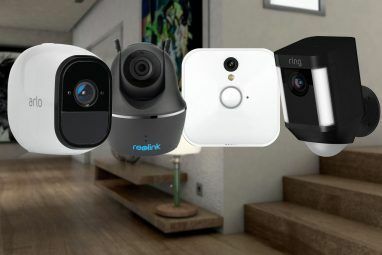 It’s really only limited by the smart home products 5 Smart Home Appliances You Should Be Buying 5 Smart Home Appliances You Should Be Buying The "smart home" concept is taking off and you should be keeping up, otherwise you'll end up missing out on the future. Read More you own — IFTTT adds new smart home gear to its repertoire all the time. Do you have Google Now enabled on your phone? Are you going to try out any of the automations listed above? Share your own creative ideas in the comments section below. Explore more about: Google Now, Home Automation. you can create a label and filter your incoming gmail messages as "Google Now" so you can at least keep all of these in one place. 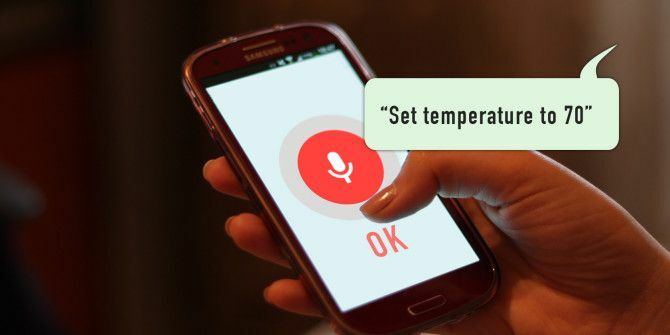 I just say "ok google" then "Set temperature 76", IFTTT isn't required. Here is the URL to make that work. This is nothing like Echo. I'm having a hard time taking the basics from your article and applying them to my WeMo through IFTTT. I can not get Google Now to change the words pound sign or hashtag into the actual symbol #. Without this the IFTTT trigger never kicks off because the email sent to trigger@recipe.ifttt.com doesn't see the #. Any thoughts how to say the # symbol so Google Now sends it correctly?